Kaitlyn Dunnett/Kathy Lynn Emerson here, pondering a question I’ve heard more than once. Readers often ask “whatever became of . . . ?” and name a writer whose books they loved. There’s no one answer, of course, but since many writers I know say they can’t not write, even if they have no hope of being published, and claim they will only stop writing when you pry their cold dead fingers from the keyboard, it’s a puzzle worth examining. That “cold dead fingers” is one answer. Writers aren’t immortal, although their books do live on after them. Poor health can also end a writer’s career. Those reasons aside, why do some writers simply disappear? For the purposes of this post, my focus is on writers of popular fiction in the romance and mystery genres. I’m ignoring one-book wonders, authors of blockbuster novels, and literary fiction. That said, let’s start by going back a couple of decades. LaVyrle Spencer, a former teacher turned best-selling romance novelist had twenty-three titles in print between 1979 and 1997. Then she just quit writing. She told Publisher’s Weekly that she’d always intended to write until she reached a set financial goal and then retire, which is what she did. This decision shocked fellow writers at the time, not only because many of us couldn’t imagine not writing, but also because reaching a financial goal that would allow for a comfortable retirement wasn’t likely to happen for most writers of genre fiction in the 1990s. It’s even less likely to happen for working writers today. 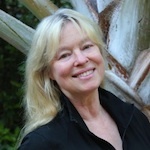 In the mystery field, the most famous example of someone who quit writing novels while she was ahead is probably Caroline Graham, a British author whose first published novel, a romance, came out in 1982 but who is best known for creating Inspector Barnaby, featured in seven novels published between 1988 and 2004. In 1997, they became the basis for the long-running (and still going) television series, Midsomer Murders. Ms. Graham stopped writing novels to focus on plays and screenplays instead. Much more recently, in 2017, the incomparable Margaret Maron announced that she would not be writing any more mystery novels. 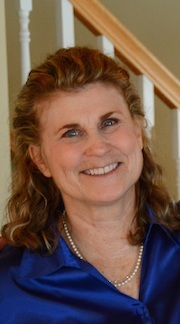 After the publication of nine books in the Sigrid Harald series and twenty in the Deborah Knott series, she explained in a guest post at Mystery Fanfare, saying “I don’t want to start repeating myself and I’m more than ready to be done with deadlines.” Margaret hasn’t entirely stopped writing, but she has switched to short stories. I’m not going to name my next two examples of writers who’ve stopped writing, although I will tell you that I know their reasons through my personal acquaintance with them. The first individual is one of those lucky few who can compose prose in her head so that the first draft has little need of revision. Her first ten novels, all historical romances, were published in a three-year period starting in 1995. She had fourteen novels published in all, along with seven novellas in collections. Then she got bored with writing and just stopped. As far as I know, she hasn’t written anything since her last book, published in 2006. The second not-to-be-named writer was also prolific, although over a longer period of time. She wrote thirteen novels, both historical and romance, under three different names but was best known, under another pseudonym, as a writer of cozy mysteries. Between 1989 and 2007, sixteen novels were published in one series. A second series saw six books published between 1999 and 2005. The seventh book was turned in but rejected. Let’s just say that things got ugly. Eventually, this writer took down her webpages and pretty much disappeared. Her last book was never published. Many writers stop writing when publishers stop buying their books. That’s probably the most common reason for giving up a career that doesn’t have much job security in the best of times. From economic necessity, some have to go back to “real” jobs that leave little or no time to write. Especially for single moms with children to support, life has to take precedence over art. I know of one or two cases where writers have made a comeback after the kids were grown, but that doesn’t happen often. Since the so-called e-book revolution, there has been another option. Instead of disappearing because they couldn’t find a publisher, some writers became “indie” or “hybrid” authors, taking books directly to readers as e-book originals. Those writers, obviously, haven’t disappeared. They’ve reinvented themselves. That brings me to another explanation for vanishing authors—reinvention that involves taking a new name. Many writers survive dropped series and rejection by beginning anew with a pseudonym. I’m very familiar with this survival technique. 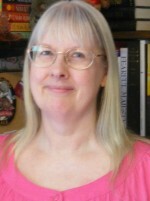 I started writing as Kathy Lynn Emerson, my real name, using it for nonfiction, children’s books, romances, and mysteries. For the three category romances I wrote for Silhouette, I took the name Kaitlyn Gorton because my Mom wanted me to have something published under my maiden name. Kaitlyn, by the way, is the first name I wished I’d been given instead of Kathy. The two other pseudonyms I’ve used, however, were chosen in a calculated attempt to take advantage of the extra push publishers give to a “new” author. Titles written as Kathy Lynn Emerson hadn’t exactly topped the charts. A fresh start as Kaitlyn Dunnett made economic sense, especially since I was also going to be writing in a slightly different subgenre—cozy mysteries rather than historical mysteries. Kate Emerson wrote six historical novels based on the lives of real sixteenth-century women—again, a different subgenre. I used my own name again when I wrote three historical mysteries a few years ago. Right now Kathy is on another hiatus, although all her backlist titles are still available in ebook format. I can’t say for certain what I’ll do next . . . or who I will be, but I think I can guarantee I won’t stop writing anytime soon. This entry was posted in Kaitlyn's Posts and tagged Caroline Graham, indie writers, Kaitlyn Dunnett, Kate Emerson, Kathy Lynn Emerson, LaVyrle Spencer, Margaret Maron, pseudonyms, reinventing yourself, why writers stop writing. Bookmark the permalink. Fascinating. Once one has started writing short stories, soldiering on to the end of a novel, especially when there are multiple rewrites on the horizon, the choice is an easy, but potentially dangerous one. And let us not mention that someone must read these beasts and I’m doing my very best in that realm. Very happy to hear what I always assumed, which is that you are the type who will not stop writing by choice. Wow, Just wow. As someone who has been writing for many, many years, but just not getting published and recently Indie published and hoping for more, I’m amazed at your accomplishments. Well done. I’m not hoping for that level of recognition, but sure would like to sell a few more books. Two authors I wonder about and miss. Rebecca Pawel who wrote a fantastic 4 book series of mysteries taking place during the Spanish Civil War for Soho Press and Minette Walters who wrote The Sculptress among several other wonderful books. There was an author I discovered several years ago whose books I truly enjoyed, only to find out that not long after I found her work she decided to stop writing. I sent her a note to tell her how much pleasure her books had given me and tentatively inquired about the end of her career. She said she’d retired recently and wanted to enjoy time with the grandkids and travel with her husband. She also mentioned the challenges of being a mid-list author, and I wonder if all those factors together made her decide to stop writing. Reblogged this on James D. A. Terry, Author. When I finally got published, after ten excruciating years in the unpublished writer’s corner, I was stunned to watch writers I knew and admired giving up and moving on. It seemed like something a real writer, one who can’t help but writer, could never do. But after 25 years in the published corner, dealing with the aggravations and cruelty of some publishers, I can see how a person might get discouraged and give up. When the Thea Kozak series was dropped by my publisher, no one around me told me that that was common in the industry, and not to let it discourage me. Luckily, being dropped forced me to take chances, chances which resulted in Level Best Books and the joy of putting other writers in print, and the Joe Burgess series, which has brought me, and my readers, great joy. It is hard to maintain a career as a published writer, but those occasional notes from readers really make a difference. Good stuff here! E-books have definitely changed the way we perceive the “longevity” of any author. Name and genre changes are also super easy now, thanks to self-publishing.